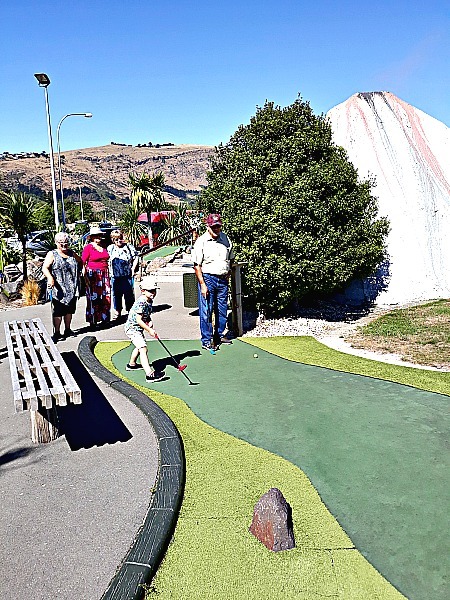 On Sunday 24 March, a number of Clan Donald Canterbury members met at Ferrymead Golf to play a round of mini golf on the “Volcano Park” 18 hole course. 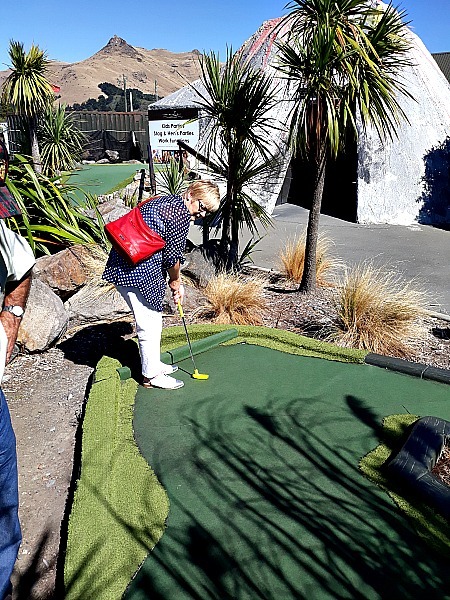 After the trauma of the terror attack which occurred in Christchurch on Friday 15 March, it was nice to be able to get together with good friends and enjoy a couple of hours of leisure and fun. 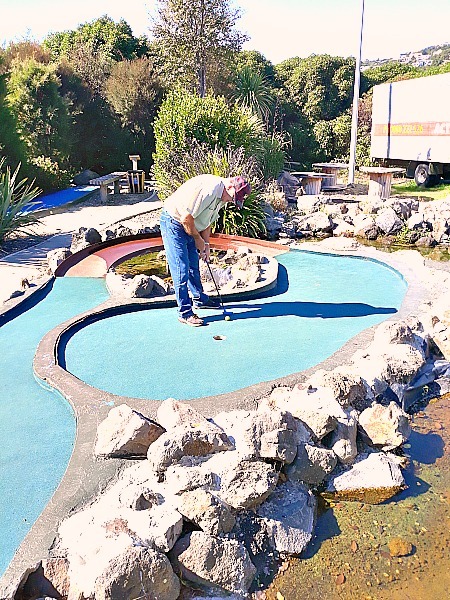 We played a round of mini golf and then retired to the clubhouse for a drink and a chat to finish the afternoon. 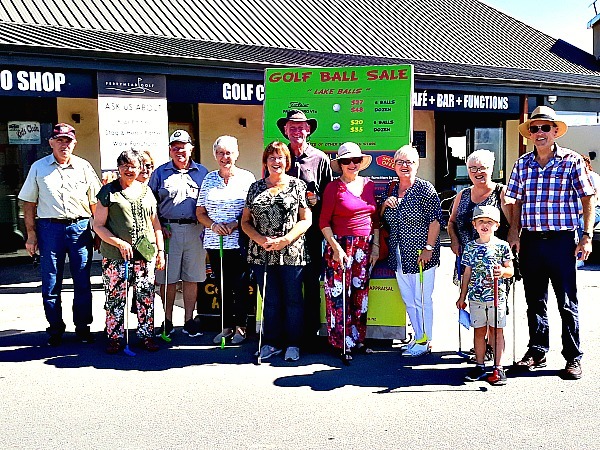 Pictured (left to right); Elwyn Martin, Sheila Cuthbertson, Christine Martin, Ian Bright, Valerie Bright, Raewyn Hinton, Andrew Muskee, Helen Ring, Margaret Donald, Ann Smith, Fintan McLoughlin and Alan MacDonald. Fintan McLoughlin shows Elwyn Martin how to play. Margaret Donald is all concentration.